Hand-crafted to the highest quality, the Hanna Dining Chair by Daytona takes inspiration from the sophisticated, interior styles of the 1930’s era. Finished with exquisite detailing, this timeless design is sculpted using solid wood and Italian leather. The backrest is upholstered in soft quilted leather providing maximum comfort. Style with the Karma range of dining tables to complete the look. The tapered legs can be realised in various lacquered woods and the upholstery is also available in a range of high quality fabric or nabuk leathers. 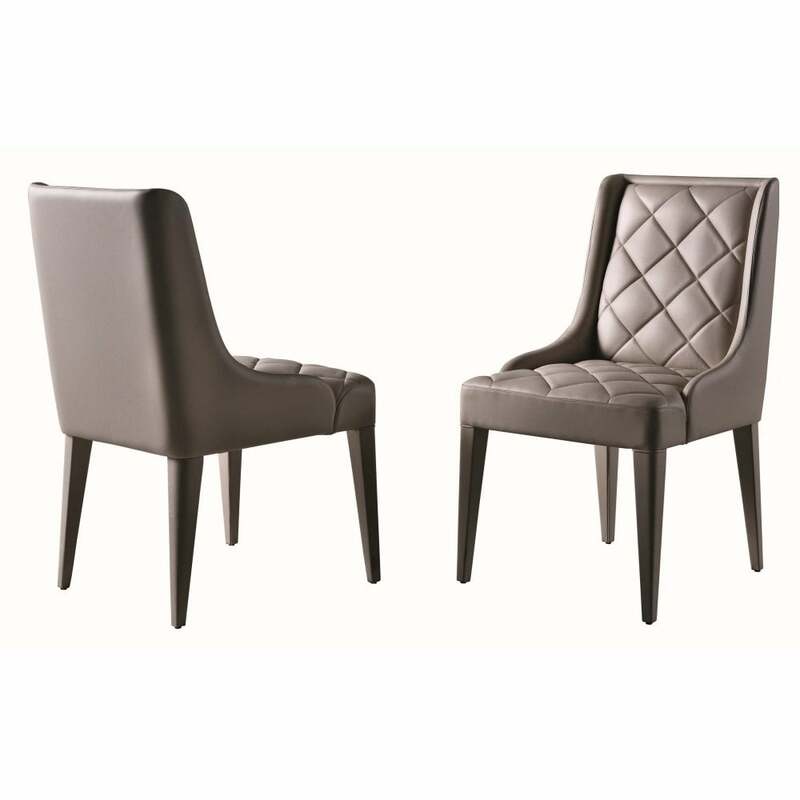 The Hanna Dining chair can be made completely bespoke to suit your interior requirements. Make an enquiry for more information.